ASC Press is the publisher and exclusive distributor of all ASC books. All books are in stock and are shipped within 24 hours. 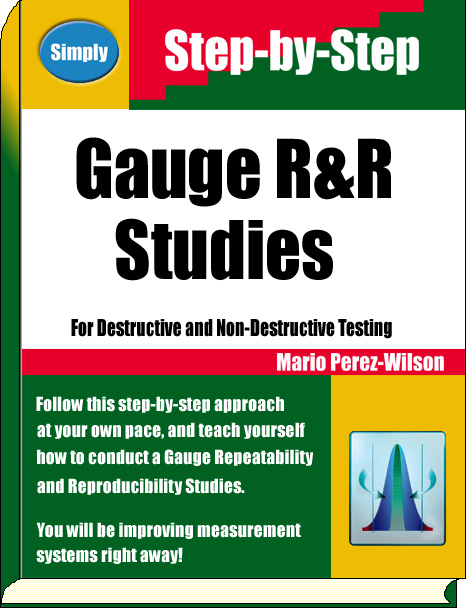 This is a step-by-step guide to conducting Gauge Repeatability and Reproducibility studies for destructive and non-destructive testing. It covers the necessary background for the statistical methods used in order to provide the novice with a lead into the derivation of formulas. A section on measurement error and uncertainty preceeds the methods for GR&R and derives the GR&R approach. Short method, long method and Analysis of Variance approach are fully explained. Over 50 real-life examples of Gauge R&R studies conducted in the printed circuit board, plastic molding and semiconductor industries are included. 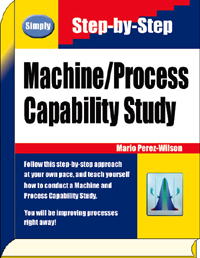 A solid five-stage methodology for conducting machine and process characterization studies, this work was the first standard approach to achieve and sustain Six Sigma at Motorola. 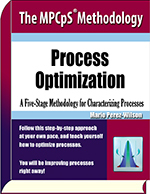 The MPCpS Methodology – Process Optimization book provides an in-depth step-by-step approach to planning, designing, conducting and analyzing statistical-designed experiments to optimize industrial processes. Using a non-mathematical approach, the author takes a beginner with little knowledge about experimentation and leads him/her to a very comprehensive understanding of the topic of design of experiments (DOE). It starts with basic single-factor designs and hypothesis testing, to further include factorial designs, full-factorials designs, screening designs, Plackett Burman designs, fractional factorial, saturated and finally Taguchi’s orthogonal array designs. Process Optimization is a must for individuals involved in all aspects of product and process development, design, characterization and optimization. 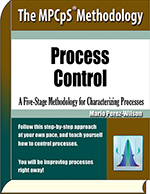 Process Control, the statistical control step of the best-selling methodology for process characterization, optimization and control --the MPCpS Methodology-- offers a step-by-step approach into monitoring and controlling processes. This book walks you through a system that integrates the necessary tools to establish a preventive and continuous plan to control critical machine parameters, significant process variables and product characteristics during production. This guarantees a stable, capable and foolproof process free of defects. Just follow this step-by-step approach at your own pace and teach yourself how to control processes. You will be improving processes right away! Multi-vari is treated as a pre-experimentation technique to isolate and quantify the major components of variability - temporal, cyclical and positional variation. The book presents a method for analysing multiple variables at the same time, without manipulating the variables. 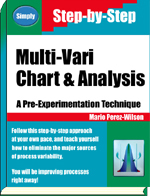 It follows a step-by-step process of describing how to implement Multi-vari charts in a manufacturing process. It details how to statistically analyze Multi-vari data and decompose the variance to obtain the variability of each variable independently. Case studies in semiconductor, medical device, printed circuit board and automotive applications are provided. This book presents an unconventional, but successful approach to controlling processes during production. It explains a method by which the input variables of the process are controlled, rather than monitoring the product output variables after the fact. 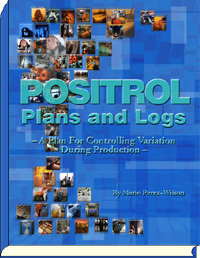 It contains a full description of how to design Positrol Plans and Logs, and how to linked Positrol Logs to maintain traceability of process changes and behavior during production. It details the implementation of Positrol Plans and Positrol Logs with a Solder Paste Printing process. Examples of Positrol Plans and Logs are included for a silicon wafer grinder, a screen printing process, axial insertion process, a wave soldering process, an oxide deposition process and a nitride difussion process. Availability: Ships in 3-7 days. 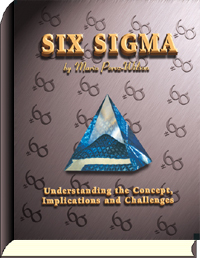 This book provides a crystal clear explanation of what Six Sigma is, and what it is not. It covers the history of Six Sigma since its inception at Motorola in 1987, the implications of embarking on Six Sigma and its challenges. Six Sigma metrics, statistics, and associated indices are explained. It also presents a strategy for implementing Six Sigma in an organization, and the Methodology to achieve Six Sigma in technical processes as well as non-technical processes. It answers frequently asked questions (FAQs) and includes a Glossary of Terms and Tables. This is authoritatively real! Mario Perez-Wilson, former Manager of the Statistical Methods department at Motorola, lived it!